Tambopaxi is an ecotourism complex designed as a recreation and acclimatisation centre, complete with its own restaurant, hostel and camping site. Situated in the Cotopaxi National Park, at 3,750m above sea level, the site is surrounded by a really spectacular view. Worry about where you are going to stay during your stay in Vancouver? Now, this will not be a problem which you cannot solve. 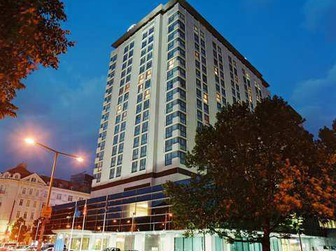 Vienna hotels Vienna is a wonderful city with great history and a variety of fantastic sightseeing. Every year thousand of tourists come here and enjoy these amazing places. homestayindia.net/ Looking for a Homestay in India, Shortstay apartments or Flat, Accommodation for students group and Family tours all location in India. RAASAY HOUSE - Providing quality Activities & Accommodation in the Highlands of Scotland. Spectacular island location just off the isle of Skye. Perfectly located Venice hotels equipped with wi-fi internet, business amenities. Book the lowest rates online right now without any extra fees.